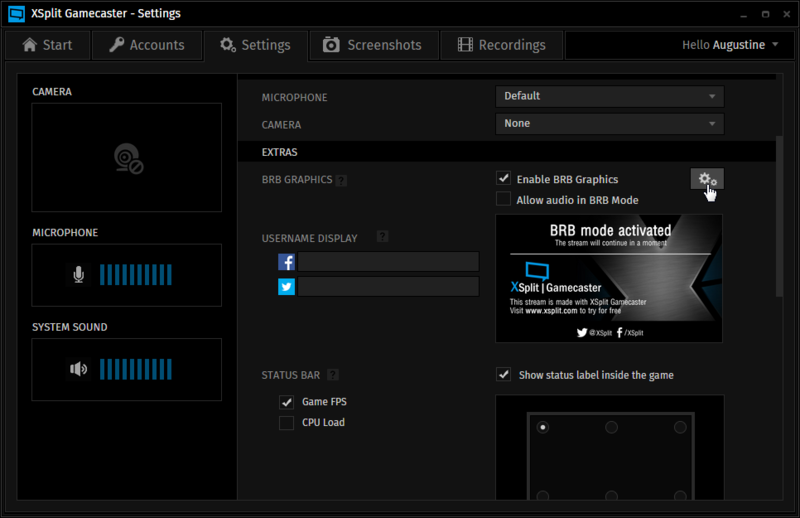 BRB (Be Right Back) Graphics serve as a privacy screen when your game loses focus in full screen mode or is minimized in windowed mode. It indicates that you are currently not in a game. 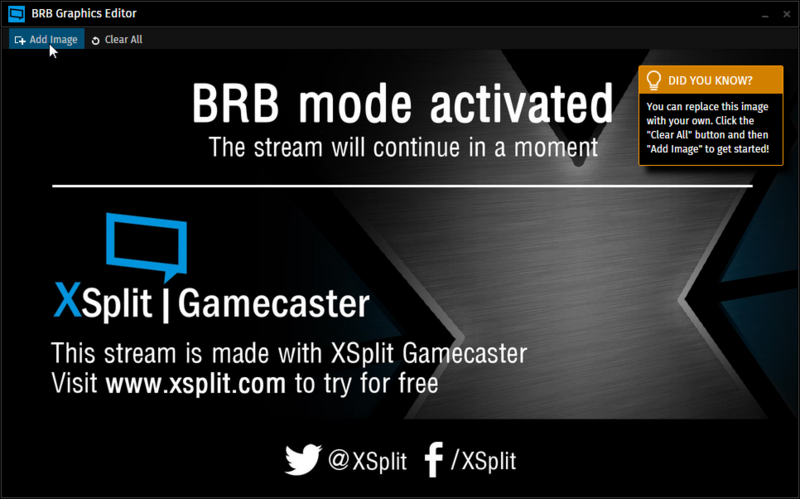 While the BRB Graphics are active, the audio is also muted. If you have connected your social media accounts you will see the info appear on the default BRB graphics image. If you delete the default BRB graphics image, then the social media images will also be deleted.